There is something magical about looking at a lithophane. I like handing them to people with the light coming from the front. Most of the time they are polite and say, "that's nice." Then I have them hold the lithophane to let the light come in from the back and the image pops out. "Wow," "cool" they say and the expressions on their faces are ones of awe and surprise. 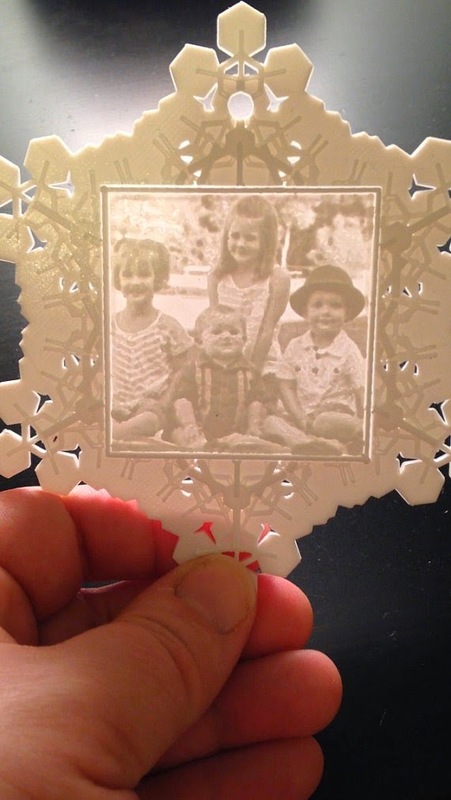 For Christmas this year, my wife came up with the idea of putting a picture of the kids inside of a lithophane inside of a 3D printed snowflake. I picked a random seed that fit well with my idea and then I tried importing my the stl file from my lithophane program. I could not quite git it to work. So, instead I decided to make the print in two parts and glue them together. 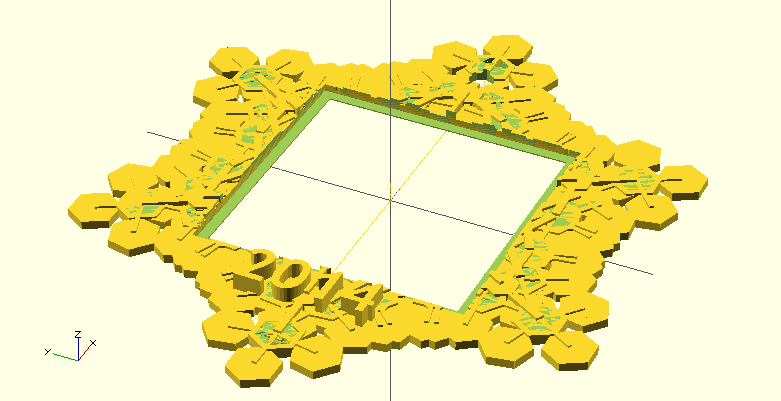 I did some minor modifications to the openscad file add an area for the lithophane, the hole for a ribbon and in latter modifications a way to add the year. I wife has challenged me to do something similar with a heart for valentines day. That should be fun.